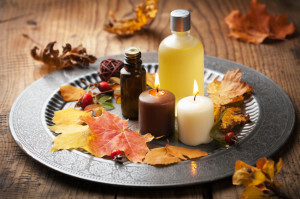 As the colder weather arrives, your clients will be changing their beauty and personal care routines. Currently, at salons and spas across the country, clients sipping pumpkin spice lattes are requesting darker hair colors and ways to prep skin for winter dryness. Just as autumn provides opportunities to upsell services and products, it also provides a good reason to review safety procedures. Here, we will look at two different risks that, remind us of autumn’s safety issues: slips and falls and chemical peels mishaps. Damp weather and fallen leaves make a perfectly dangerous formula for slips and falls. Though slipping often brings to mind nothing more serious than a slapstick routine, these incidents can result in serious injuries, lawsuits or both. Clients come to you for your esthetic skills, but they will benefit enormously from the attention you pay to details that keep them from taking a spill on your property. Evaluate your facility’s slip and fall hazards and make changes or repairs now, before the weather turns snowy and frigid. Repair missing or broken tiles, linoleum, floorboards or stairs. Add non-skid mats in areas that tend to get wet or slippery. Assign a staff member the task of sweeping out any leaves that have followed clients indoors. As always, clean up any tracked-in water or spills immediately, and consider making non-skid footwear available to clients. Now that some misplaced fears about the dangers of chemical peels seem to be subsiding, this treatment is growing as an ever-more popular way for people to minimize wrinkles and improve the overall appearance of their skin. This time of year, many salons and spas push their “pumpkin peels,”treatments made with alpha-hydroxy acid sourced from the ubiquitous fall squash. As you likely know, these are gentler alternatives to many other peels, even the common glycol peels. But even a superficial chemical peel is not foolproof. Any skin treatment carries risks: irritation, burns, allergic reactions and poor results due to lax patient aftercare. To best minimize these risks, only a licensed esthetician or cosmetologist should perform chemical peels. Give clients ample warning if they need to do anything to prepare for the pumpkin peel. Even if the client to receive the peel is a regular, check in to ensure they have not started any new medications. During the treatment, check in regularly with the client and keep neutralizer and damp cloths handy in case the client has a negative reaction. Send her home with reminders about aftercare, especially the importance of a broad-spectrum sunscreen. Of course, these are just two areas in need of a regular safety refresher. How does your salon gear up for autumn and winter weather? How do you review safety procedures? Tell us on Twitter @SASSI_Brownyard.